Alistair Wells is a producer whose current work is synonymous with a kind of benevolent intensity: he excels at sculpting tonally rich and percussively complex tracks that seem to both enlighten and confront. Under his most well known alias as Perc, he has established a deep roster on his PercTrax label to carry out a similar-minded program, and has built up a formidable arsenal of EPs and singles in the wake of enigmatic LPs like 2011's Wicker & Steel. 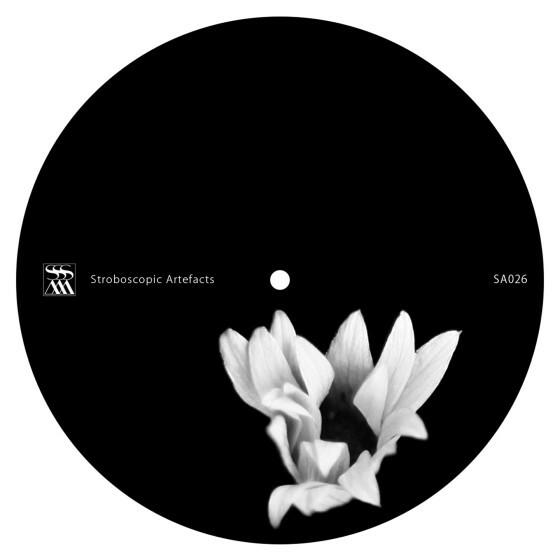 His 'eclectic-yet- disciplined' methodology has also made him an integral component of the always-evolving Stroboscopic Artefacts organism, being involved early on with the label's Monad series and participating in every possible capacity from production partner to remixer to solo artist. His latest contribution, Ma, is a fascinating new EP that showcases his talent for testing the limits of perception. The ominously titled opener "Death of Rebirth" - a title hinting at some form of hellish repetition - starts things off with a sense of dark premonition. Yet, in signature Perc style, that aura of uneasiness beckons listeners to explore further rather than to flee from it: in this context, the reliable 4/4 kick drum throb is the only means of orienting oneself or angling through a glassy and metallic labyrinth where foreign objects conspire to make previously unimagined percussive noises. "Negative Space" is a variation upon this theme of trying to maintain focus within a foreign environment bristling with strange enticements and potential dangers: with the kick pattern from the previous pice still acting as a trusty guide, new sound forms arise at every turn: a novel sort of hybridized piano / gamelan tone, a shuddering assembly line, and snaking delay feedbacks. Like dub music meant to be listened to in a hall of mirrors, "Negative Space" induces a heady feeling of multiplying realities. The closing "Ma", if translated into Japanese, can mean "space / pause" and thus acts as a nice complement to "Negative Space." However, this massive, side-long audio force field dispenses with the previous tracks' steady pulse, and suggests a rigorous act of ritual contemplation taking place in the midst of phenomenal chaos and challenging blows to the body. "Ma" succeeds in modernizing the industrial-era rhythmic invocations of artists like Z'ev, achieving an almost classical solemnity without sacrificing Perc's usual love for cleverly maniuplated electricity. Altogeher, ‘Ma’ is an eye-opening, ear-infliltrating statement that will warp your understandings of time and space in a most exquisite way. James Ruskin "Killer 12". Thanks!". Broken English Club “Really love this release, possibly my favourite material from Perc, like xenakis and stockhausen jamming in Berghain.”. Inigo Kennedy "Top marks for Negative Space here. Interesting sound design throughout.”. Tommy Four Seven "High class stuff. Excellent release, nice one Alistair!". Svreca “Wonderful Perc return in SA. Full support!! ".